Chalta is probably a native of India . 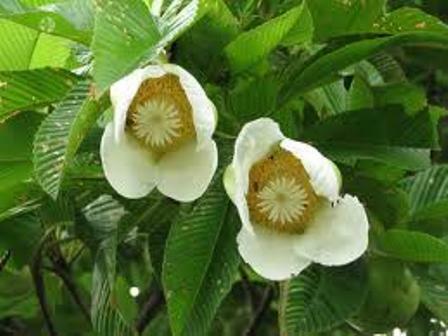 It is found growing wild in Indian forests along the base of Himalayas from Nepal to Meghalaya. It is also found in dry hilly regions of Bihar, Orissa, Madhaya Pradesh in north and Karnataka and Andhra Pradesh in south India. 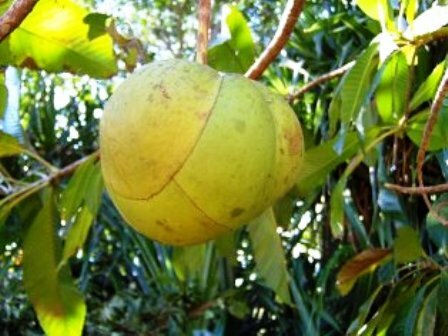 It bears green fruits which resemble large apples. 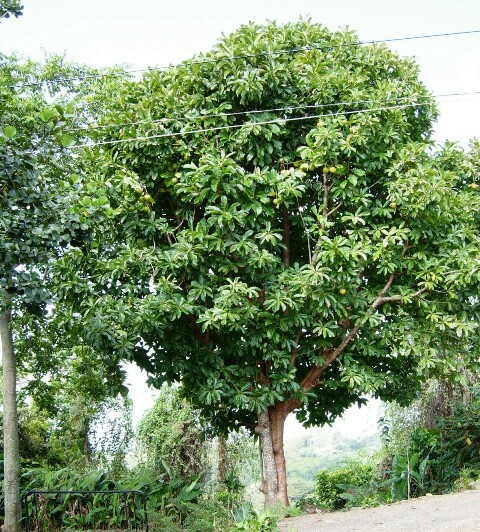 A handsome evergreen tree, 30-80 ft high and 6 ft in girth, with a dense rounded crown. Leaves oblong lanceolate, 8-14 in. long and 2-4 in. broad, with pointed apex and toothed margin; the upper part of the leaf as well as the veins beneath is covered with hairs. Flowers large, 5-8 in. wide, white, fragrant and solitary. Fruit large, 3-5 in. 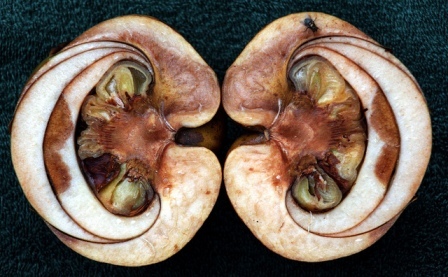 in diameter, hard, consisting of 5 closely fitting imbricate sepals enclosing numerous seeds embedded in a glutinous pulp. Seeds small, compressed, and reniform with hairy margins. Ripe fruits are gathered at maturity. Fleshy sepals form the edible portion. Though the fruits contain enough sugars, still these taste pleasantly sour due to predominance of acid. These are seldom eaten raw and are mostly used as flavouring in curries. These are also made into jams and jellies. The juice is sweetened with sugar to make a cooling and refreshing drink. The fruit is said to possess tonic and laxative properties, and is used for abdominal pains. The bark and leaves are astringent. Dried leaves are used as a substitute for sand paper in polishing ivory and horn. Wood is widely used as timber. 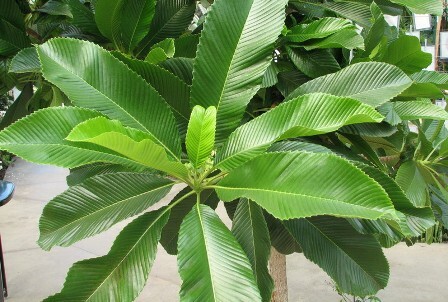 Chalta trees are often planted in gardens, mostly as specimen plants. New plants are raised from seed.